Providence, R.I. – Dec. 11, 2017 – The Rhode Island Quality Institute (RIQI), RI’s statewide Health Information Exchange (HIE) and a center for collaborative innovation in healthcare, announces the hiring of Rob Bowman as its chief operating officer. As RIQI COO, Bowman will lead the day-to-day operations of the organization, ensuring alignment with its strategic, service delivery, and innovation goals. Product innovation, design, delivery, and ROI measurement will be paramount in Bowman’s role as RIQI continues to expand its offerings to providers, consumers, health plans, state government, academia, and new business partners. 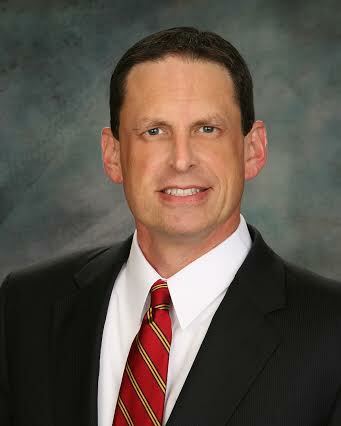 Bowman brings extensive experience in healthcare technology and analytics, operations, and leadership. He most recently served as Director, Commercial and Specialty Businesses, at the Anthem Innovation Studios in Atlanta, Georgia. In this role, Bowman designed methodologies for crowdsourcing and development of programs; led initiatives exceeding $100 million; expanded initiatives across 19 states; and supported revenue and cost-of-care targets for a $25 billion business division. Prior to his role with Anthem, Bowman served in executive consulting roles with Trexin Consulting/Accountable Care Analytics Group, and as vice president, enterprise solutions, at Premier Healthcare Alliance. Bowman holds a Master of Health Administration from Washington University School of Medicine and a Master of Information Management from Washington University School of Engineering, both in St. Louis. He earned a Bachelor of Science degree in Management Information Systems/Computer Science from the University of Alabama Huntsville. Bowman is an active member of the Healthcare Information and Management Systems Society (HIMSS) and the International Institute for Analytics. RIQI is a center of collaborative innovation that advances health and healthcare transformation. The company’s mission is to improve the quality, safety, and value of healthcare and share knowledge that advances the field of healthcare improvement. RIQI is a 501c3 non-profit organization founded in 2001 and overseen by a board of directors comprised of senior health industry leaders from the community, including CEOs of hospitals, health insurers and health-related businesses, along with leaders of consumer groups, academia, and government agencies. For more information, visit www.riqi.org.